The little sibling to the larger Mustard Personal Chef XL, this 185mm version is, as it turns out, not so little after all. 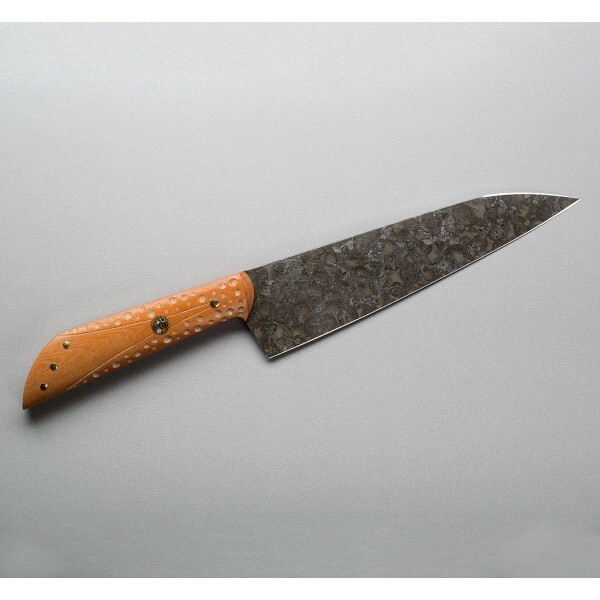 It features the same tall 52100 carbon steel blade with mustard finish and the matching "mustard" Westinghouse micarta handle with custom mosaic and peened brass pins. 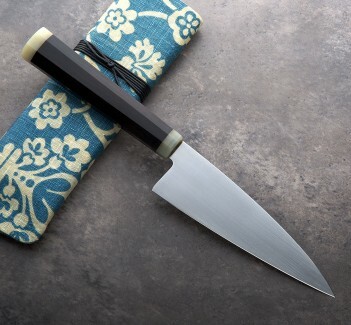 Don Andrade's interpretation of the western-style chef's knife, this Personal Chef model is high on our list of full-size kitchen knives to reach for when a single knife is needed to accomplish a four-course meal's worth of prep work in short order. Made by hand from start to finish, a superb kitchen tool to be passed down through generations. A cloth-covered transport case is included. 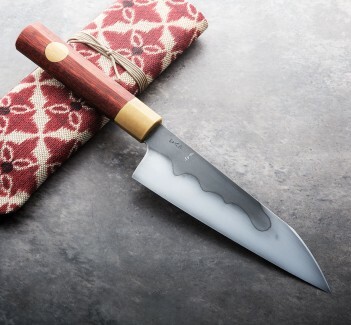 As a trained chef and sculptor with a background in blacksmithing and general knifemaking, Don Carlos Andrade's custom kitchen knives represent some of the best culinary tools being built today. 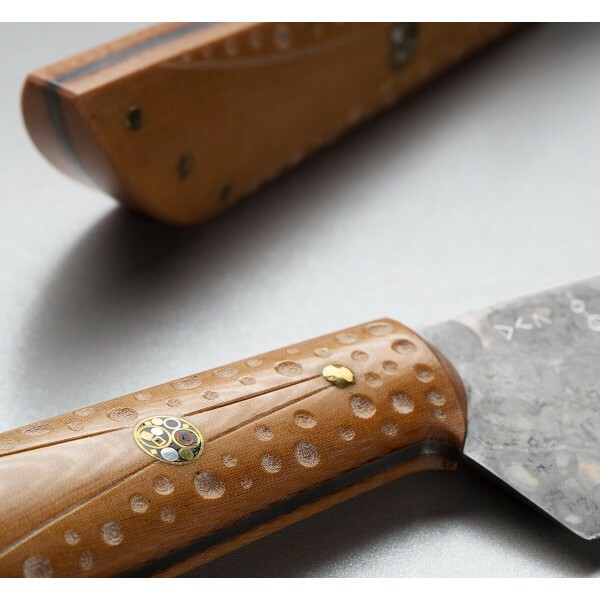 Attention to the details sets Don's work apart from the crowd, each knife exhibiting thoughtfully designed and expertly executed finishing touches that create, not only highly functional tools made to be used daily, but heirloom-quality wares meant to be passed down from chef to chef.